The fast-growing Danish hard rock band INTO CENTURY will release their second album "Nobody's Slave" and also a single "Nobody's Slave", through Target Distribution on May 27th in Europe. The album offers razor-sharp rock/metal riffs that are supplemented by heavy lyrical themes about the Vatican and human trafficking. The band is already well-known in MTV’s universe with two singles, "Nobody's Slave" and "Dare" in rotation, and "Nobody's Slave" has received acclaim by the Danish critics. 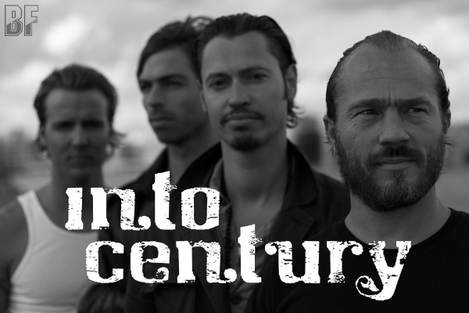 INTO CENTURY are playing hard hitting west coast rock with metal riffs and distortion, and they are not afraid of attacking controversial issues on their songwriting. The shadow sides of life have been an important inspiration for the twelve intensive tracks on the album. Some of the band members have really tried the roller coaster ride that life can throw at you, as being a musician. INTO CENTURY has played both large and small scale gigs around the world, from some of the most legendary clubs in L.A., to small venues in Copenhagen. The music channel MTV has opened their eyes to the Danish band, which has resulted in a private showcase at the channel's headquarters in L.A. 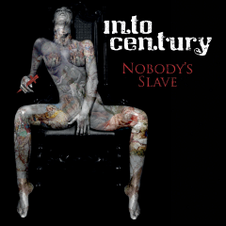 The album "Nobody's Slave" is produced and mixed by Tore Nissen and Johan Wohlert (The Storm, ex-Mew).